As previously announced DAP has exited the rugged hardware market. Today, Winmate Communications Inc. will continue to service and support of the M9020 (7" Ultra-rugged QWERTY Tablet PC) and M9700 (9.7" Tablet PC) from DAP Technologies. 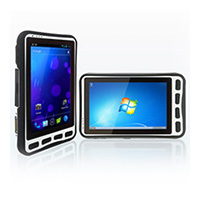 Should you be in the market for new hardware, we invite you to explore Winmate’s line of rugged and ultra-rugged tablets, which combine reliability, flexibility and unmatched performance with dual-core Intel Atom, Intel Baytrail, or Intel Haswell processors. 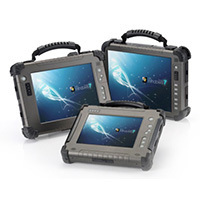 The Winmate M101 series, M700 and full suite of ultra-rugged tablets offer a next-generation option to DAP's M9700 and M9020. 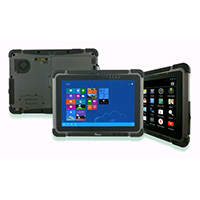 Available in 7", 8.4", 10.1", 10.4", and 12.1" displays, these rugged tablets enable increased efficiencies and powerful computing in applications ranging from warehousing, transportation, direct store delivery, mining, public safety, and numerous other rugged environments. 10.1" Tablet PC 7" Tablet PC 8.4" , 10.4", 12.1"
Founded in 1996, Winmate Communication, Inc. is a Taiwan-based company and a global leader in developing advanced rugged mobile technologies for a variety of industries ranging from transportation and logistics, vehicle diagnostic, supply chain, field service, warehouse, retail, and healthcare. The company specializes in research and development, engineering and manufacturing to provide custom and enterprise-ready solutions. With offices in Irvine, Atlanta, Toronto, and China, Winmate services customers throughout the world. 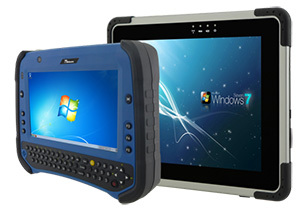 For more information, visit www.winmate-rugged.com.